By now, most readers are aware that there has been a rapid transition from the public space initiatives led by NASA during the 20th century to the rise of the private space sector. Across the United States, private space companies are making their mark on the established aerospace industry. And while certain regions of the U.S.—such as Houston and Cape Canaveral—have been fixtures of the aerospace industry for decades, other cities are becoming increasingly relevant to the future of space. Rockets are being built and launched in the Mojave desert near Los Angeles, which are influencing design and engineering worldwide. Aerospace-related software is being revolutionized in San Francisco, which is dramatically simplifying how hardware and software interact. A variety of leading-edge technologies are being incubated in Seattle, which are literally redefining the “space” category as we know it. Some of these regions are emerging as important to the space industry because of their unique geography. Others are emerging because of their proximity to high-tech-oriented human resources. Whatever the reason, it’s becoming clear that the geography of America’s space industry is expanding to include not only the storied tech centers of years past, but also new hotbeds of innovation that will be crucial to the future of entrepreneurial space. The West coast has experienced a marked increase in commercial space activity. In Southern California, the commercial space industry is taking root. With the winning of the $10M Ansari XPrize in 2004, and the subsequent Space Launch Amendments Act of 2004, this region has played a pivotal role in the development of the entrepreneurial space sector. California’s Mojave Air and Space Port has been a recent hotbed of innovation and creativity. The facility—a private aircraft testing and flight center—boasts long runways, an expansive, remote airspace, and ideal flying conditions for test pilots. Today’s space startups—backed by an influx of capital from angel investors—are taking advantage of places like the Mojave Spaceport to test and improve upon their new technologies. Nearby, in Hawthorne—a suburb of Los Angeles, not far from Manhattan beach—SpaceX has set up shop. Founded in 2002, Elon Musk’s groundbreaking company recognized SoCal’s space potential—specifically, as an ideal place to establish a commercial rocketry business. Take a drive along the Pacific coast into northern California, and find the signs of another entrepreneurial space hub in San Francisco, California. San Francisco is changing the market through satellites and big data, and this information and subsequent analysis is having profitable influence on a variety of industries outside of aerospace. Satellites launched by startup companies are offering near-real-time data that can give industries and investors an edge in predicting profit margins of businesses by tracking assets, evaluating potential crop yields for harvest, and other important data. A key startup providing satellite data is Space Angels-funded Planet. Based in San Francisco’s tech-trendy SoMa district, Planet’s fleet of remote-sensing CubeSats—or “doves”—is capable of imaging the entire surface of the Earth every 24 hours. Planet’s constellation is the largest privately-owned satellite network in orbit, sending over 3 terabytes of data back to Earth daily. Satellites from San Francisco are advancing not only the space industry, but are also impacting the global economy in a broader sense. Continue the trek northward to the rainy region of Seattle, WA and find another influential hub in the entrepreneurial space landscape. Here, a rich aerospace heritage is mixing with new ideas, fresh funding, and a ready pool of tech experts to culminate in a near-inevitable hotbed of industry. The Museum of Flight provides visitors a comprehensive portrait of how high-tech industries have impacted the region, and as of May 2017 displays the newly rediscovered Apollo engines, while space companies like Space Angels-funded Planetary Resources and Bezos’ Blue Origin have made their home in the northern coastal city. This regional space hub is built around local resources involving cutting edge software, acquiring and analyzing big data, and venture capital that is already in use by other Seattle industries such as the software and web startups. The Seattle and Washington state government is jumping on board to encourage the aerospace industry by offering tax benefits through communication with the Washington State Space Coalition. Regions historically bolstered by government space activity are seeking profitability in the new commercial space market. But it’s not as though the historically significant cities are out of this new space race. These cities are adapting and finding ways to provide valuable facilities and resources to the private space sector. In fact, the rise of entrepreneurial space has been bolstered by NASA’s efforts to invest in public-private partnerships with commercial companies and startups. 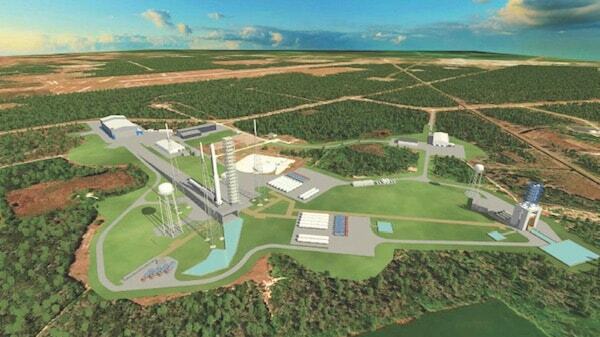 This is keeping Houston, Cape Canaveral, and other venerable hubs relevant to the future of space. Houston, one of the most well-known cities for space innovation and exploration, thanks to NASA and the Johnson Space Center, was the first word spoken on the moon during its stint as mission control for the Apollo missions. Since then a number of ambitious commercial space companies have established themselves in Houston including NanoRacks and Ad Astra Rocket Company. This aligns with a greater movement in Texas to retain and create local jobs, as well as to continue to use the resources already available in Houston. In 2016, the Texas Space Congressional Caucus was formed by the state government, geared towards advocating for human space flight as well as the intelligent and resourceful use of the Johnson Space Center. The other region of the US that’s undeniably synonymous with spaceflight? Florida’s Cape Canaveral. Florida has long been an aerospace industry hub. Since the construction of Cape Canaveral’s launch pads in the early 1950s, the venerable “Space Coast” has hosted rockets for both NASA and the U.S. Air Force. However, Cape Canaveral and its surrounding launch complexes are no longer the sole domain of government agencies. The region offers the commercial space industry more than mere historical precedence. In recent years, the state has provided increasing opportunities for private sector investment and offers small startups the necessary infrastructure—and resources—to launch payloads into orbit. Commercial space companies have taken to southern Florida with enthusiasm. 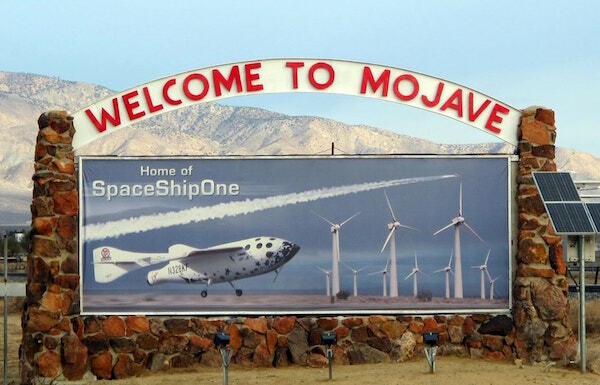 Though the region took a hit in 2011, at the end of NASA’s space shuttle program, the area is adapting its existing resources to accommodate new, entrepreneurial tenants such as Blue Origin, SpaceX, and OneWeb. With their eyes fixed firmly on the future, the Buzz Aldrin Space Institute Consortium at the Florida Institute of Technology and the International Space University have teamed up to launch an institute for space entrepreneurship and innovation, which is scheduled for an early kick-off next year. Across the country, states and cities are creating new and exciting opportunities for private space companies. 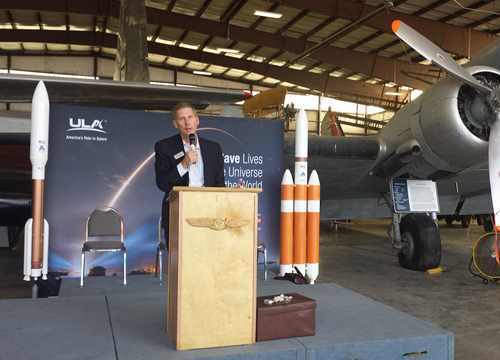 Image credit: ULA / Director of Propulsion Systems Bob Roberts (now retired) announces that United Launch Alliance will be bringing new jobs to Pueblo, Colorado. The evolving space industry isn’t limiting itself to the major hubs as it grows and adapts to the economy. After all, Space Angels is headquartered in New York City. Brooklyn’s own Final Frontier Design (FFD)—a company that was founded after winning NASA’s Astronaut Glove Challenge in 2010—is designing commercial space suits that are sleek, comfortable, and functional. Near Florida, senators in Georgia have approved plans to build Spaceport Camden on the Atlantic Ocean, reaching to bring jobs, industry, and tourism to their state as they grab for a piece of the space industry pie. In Colorado, a history of military influence and university resources have made their mark on industry. In both Denver and Colorado Springs, aerospace companies are bolstered by a variety of factors, from research programs by local respected universities; to a military installation in Colorado Springs with ties to both NASA and the U.S. Defence Department; and especially local governments who actively support and seek to expand the industry. The state as a whole has more than 400 companies in military, civil, and private aerospace companies, the biggest of which are United Launch Alliance, DigitalGlobe, and Ball Aerospace. 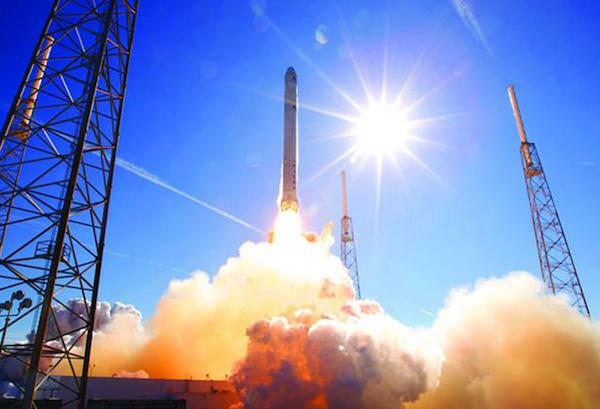 Today, Colorado uses their extant infrastructural advantages to stay ahead of the game, while other states—such as New Mexico, Virginia, and even Maryland—work to bring the commercial space industry to their home turf. Regional hubs are drawing on both local and national resources to create a vibrant, multifaceted space industry. Today, major hubs of the space industry stretch from Seattle to Florida—spanning the breadth of the country and working together to create a stronger space industry. Places like Los Angeles, San Francisco, and Seattle are weaving and shaping a new, modern landscape within which commercial space is beginning to truly thrive. And while all eyes were fixed on Florida and Houston during the Apollo era, the eyes of this generation are focused on an ever-increasing number of important cities that are emerging as the incubators which will bring our modern space dreams into the realm of reality.